It is important to work with an experienced lawyer. 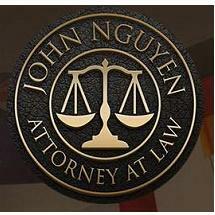 At the law office of John Nguyen, Attorney at Law, I focus on immigration law. Whether you are interested in family-sponsored immigration or employment-based immigration, whether you are seeking green card status or citizenship, or if you are facing deportation, I can help. I also help immigrants and others with divorce and family law issues. Contact me, Stockton and Modesto, California, U.S. immigration attorney John Nguyen. The immigration process calls for familiarity with restrictions, timelines and critical deadlines. I track client documentation through the system and follow up on its status. I am straightforward with clients about any obstacles they may face throughout the process.